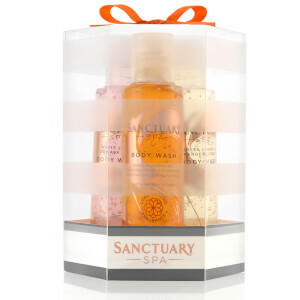 Treat your skin to the Sanctuary Spa New Mum Pamper Bag; a four-piece collection that allows you to soften, cleanse and condition from top to toe. Perfect for after your new baby arrives. Perfect for use on-the-go, Moisture Miracle can be applied to wet skin as soon as you jump out of the shower. Enriched with nourishing Apricot and Avocado Oils, the award-winning body lotion locks in moisture and hydration, whilst imparting a sensuous, floriental fragrance of Patchouli, Sandalwood and Jasmine. A nourishing and pampering formula to rejuvenate tired feet from heel to toe. Infused with Shea Butter and Wheatgerm Oil, the non-greasy balm delivers intense moisture and hydration to help soften and smooth rough, dry skin. Feet feel calm, comfortable and restored at the end of a busy day. A lightweight, quick-absorbing cream that leaves hands feeling soft, smooth and hydrated, without greasy or sticky residue. Fortified with a creamy blend of Shea Butter and Sweet Almond Oil, the deeply nourishing formula replenishes and restores hands around the clock. Suitable for all skin types, the comforting gel wash effectively cleans and balances without stripping moisture. Harnessing the powers of Jojoba and Sweet Almond Oils, the daily cleanser gently eliminates dirt, makeup and impurities to leave skin feeling fresh and smooth after use. Moisture Miracle: Whilst still soaking wet, apply the product like you would any body moisturiser. Do not rinse off. Then simply towel dry and get ready as normal. Heel Balm: Massage into dry feet using gentle circular motions. Hand Cream: Apply to hands throughout the day for velvety soft skin. Facial Wash: Massage over face and neck. Rinse thoroughly with warm water and pat dry. 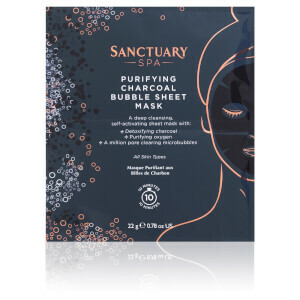 Moisture Miracle: Aqua (Water), Paraffinum Liquidum (Mineral Oil), Glycerin, Isopropyl Myristate, Ceteareth-20, Phenoxyethanol, Glyceryl Stearate, Benzyl Alcohol, Ethylene/Propylene/Styrene Copolymer, Polysorbate 60, Parfum (Fragrance), PEG-100 Stearate, Acrylates/C10-30 Alkyl Acrylate Crosspolymer, Disodium EDTA, Magnesium Aluminum Silicate, Persea Gratissima (Avocado) Oil, Prunus Armeniaca (Apricot) Kernel Oil, Hexyl Cinnamal, Linalool, Butylene/Ethylene/Styrene Copolymer, Limonene, Sodium Hydroxide, Benzyl Salicylate, Benzyl Benzoate, Coumarin, BHT, Citral. Heel Balm: Aqua (Water), Glycerin, Cetearyl Alcohol, Palmitic Acid, Stearic Acid, Butyrospermum Parkii (Shea) Butter, Caprylic/Capric Triglyceride, Glyceryl Stearate SE, Rosa Moschata Seed Oil, Phenoxyethanol, Tocopheryl Acetate, Chlorphenesin, Sodium Stearoyl Glutamate, Cetearyl Glucoside, Melaleuca Alternifolia (Tea Tree) Leaf Oil, Lavandula Angustifolia (Lavender) Oil,Triticum Vulgare (Wheat) Germ Oil, Disodium EDTA, Sodium Hydroxide, Ascorbyl Palmitate, Linalool, Limonene. Facial Wash: Aqua (Water), Sodium Laureth Sulfate, Acrylates Copolymer, Cocamidopropyl Betaine, PEG-40 Hydrogenated Castor Oil, Coco-Glucoside, Glyceryl Oleate, Phenoxyethanol, Benzyl Alcohol, Sodium Benzoate, Sodium Chloride, Citric Acid, Sodium Gluconate, Propylene Glycol, Quaternium-80, Sodium Hydroxide, Benzophenone-3, Citral, Pogostemon Cablin (Patchouli) Oil, Pelargonium Graveolens Flower Oil, Canaga Odorata Flower Oil , Lavandula Angustifolia (Lavender) Oil, Chamomile (Anthemis Nobilis) Oil, Pentylene Glycol, Agar, Polyquaternium-11, Cymbopogon Flexuosus Oil, 1,2-Hexanediol, Caprylyl Glycol, Prunus Amygdalus Dulcis (Sweet Almond ) Oil, CI 77019 (Mica), Tocopheryl Acetate, Tin Oxide, CI 77891 (Titanium Dioxide), CI 73360 (Red 30), CI 17200 (Red 33), CI 60730 (Ext. Violet 2).